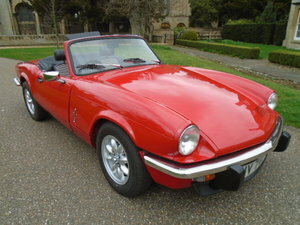 This is a 1967 Triumph Spitfire Mark II cabriolet. 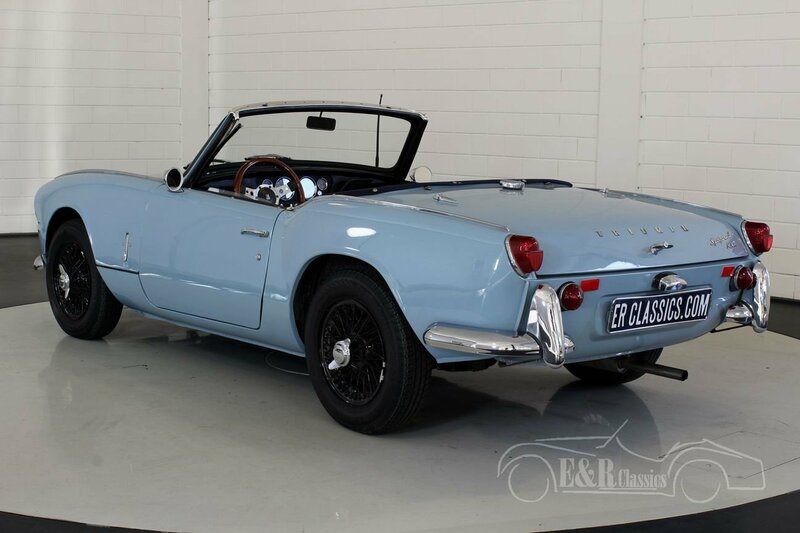 Painted in a marvellous colour combination of Wedgewood Blue with a dark blue interior. 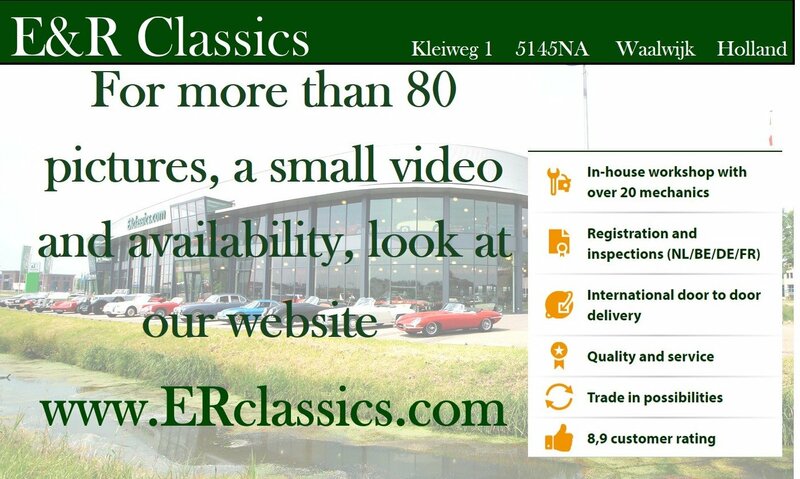 Both the in- and outside are in a very beautiful and very well maintained condition. 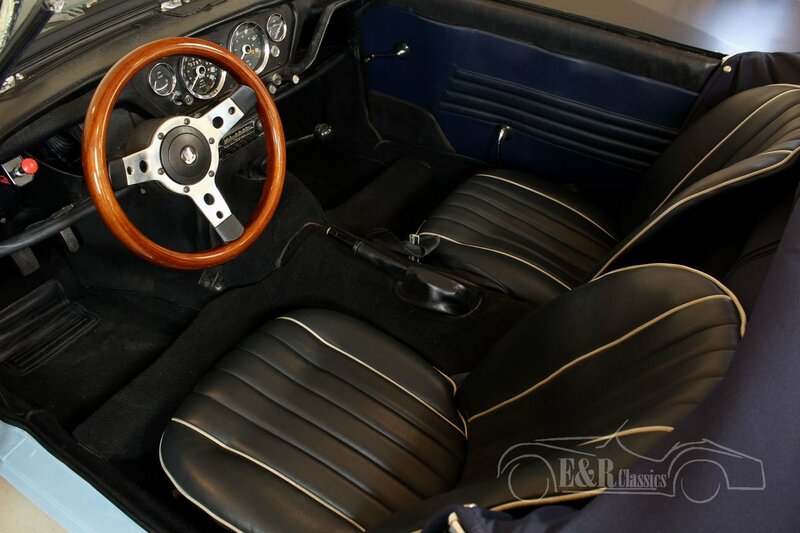 Furthermore the car is provided with a dark blue Sonnenland soft top and cover, wire wheels and a wooden steering wheel. 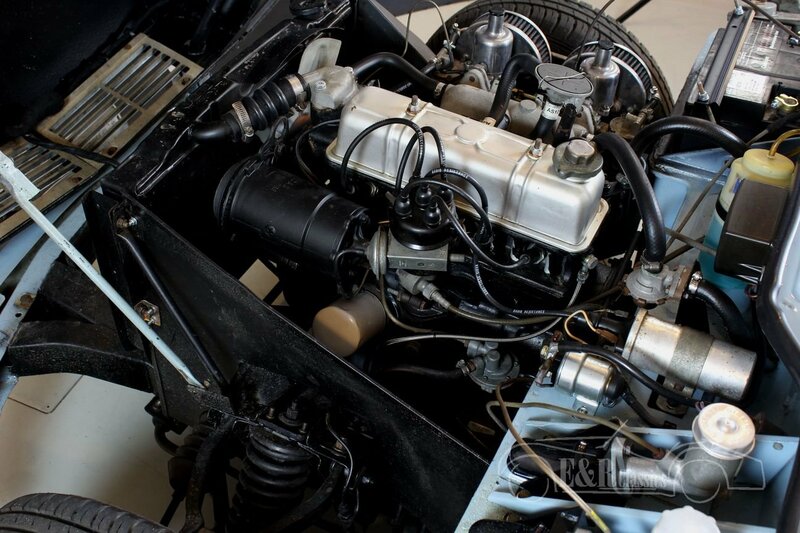 The MKII is the most rare of the Spitfire range and that makes him even more special. So a very beautiful and very rare Spitfire. 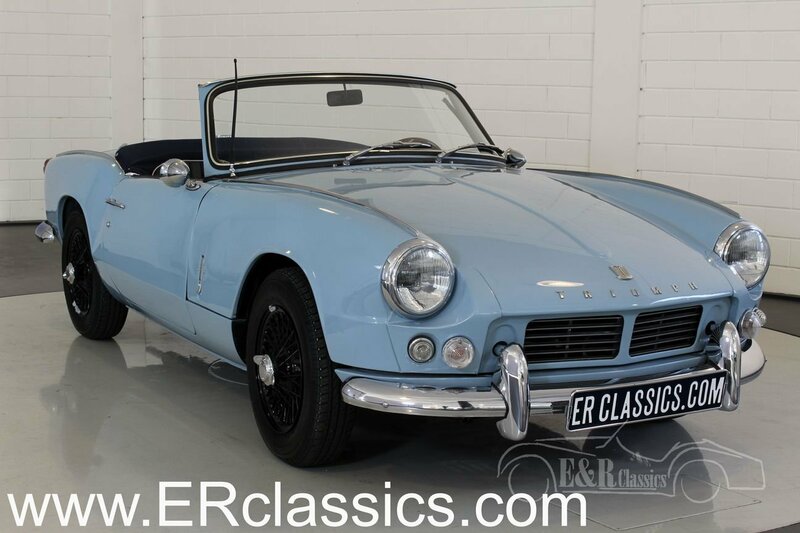 Triumph Spitfire Mark II Kabriolett aus 1967. Ausgeführt in der fabelhafter Farbekombination von Wedgewood Blue mit dunkelblauer Innenausstattung. Innenausstattung so wie Exterieur sind in sehr schönem und gut gepflegtem Zustand. Auch hat er einen dunkelblauen Softtop und Cover, Speichenräder und Holzlenkrad. 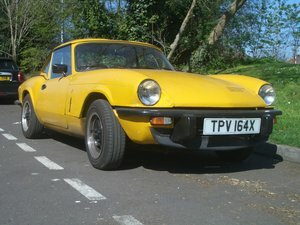 Der MKII ist den meist seltenen der Spitfire Serie und das macht Ihm extra besonders. Also einen sehr schönen und sehr seltenen Spitfire. 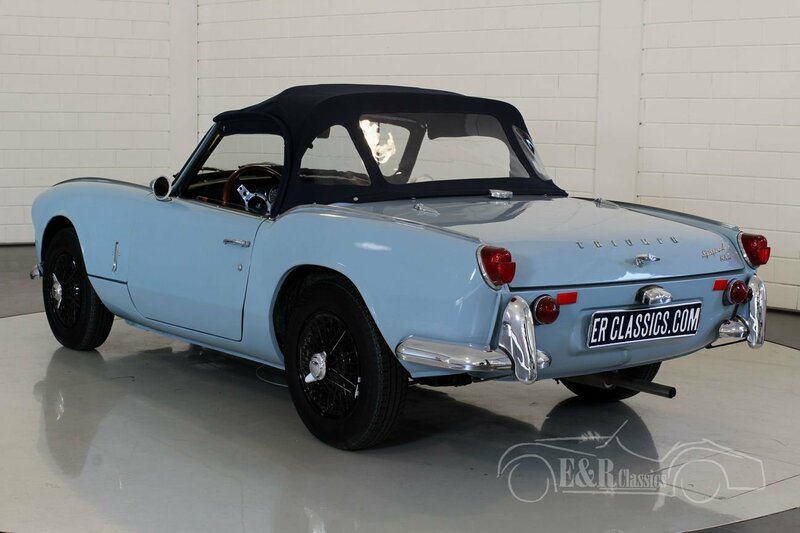 Triumph Spitfire MK2 cabriolet de 1967. Elle a combinaison magnifique de couleur Wedgewood Blue avec interieur bleu foncé. Interieur et exterieur sont en tres belle etat très bien entretenu. Elle aussi a Sonnenland softtop et cover en couleur bleu foncé, roues rayons et volant en bois. 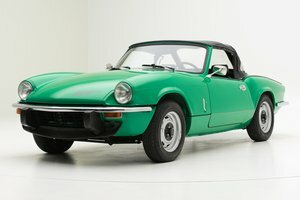 La MKII est le plus rare de serie Spitfire et ca fait cette MK2 tres speciale. En bref, un Spitfire tres belle et tres rare.